[:en]Humat Dijlah* in cooperation with the Iraqi Touch Group, recently organized a 3-day training workshop on the issue of recycling. More than 18 young men and women attended, and discussed various topics relating to waste recycling and other environmental issues, such as water conservation, pollution reduction and the over-consumption of natural resources. Some international success stories were also presented: for instance, Iraqi artists showed how they used recycled materials in their paintings, and emphasized the importance of artistic innovation as a way to further the goals of recycling. The use of recycled material by these artists helped to identify and promote principles of conservation, the need to protect the environment and to save water. Their creative work to improve the environment is a step on the path to raising social awareness, in particular among Iraqi teems. 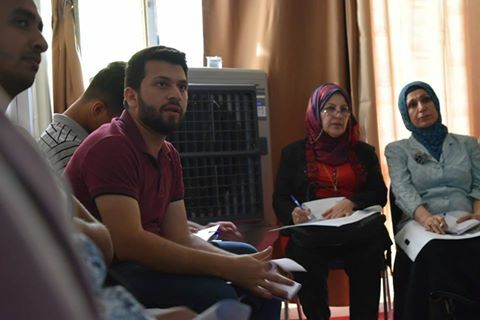 At the end of the workshop, participants were introduced to the Iraqi Social Forum’s long-term plan on environmental and water issues, focussing on not only the need to recycle, but the broader need to coordinate the efforts of activists, civil society organizations and volunteer teams working in the field. Collaboration would unify and magnify these diverse efforts, thus promoting awareness and increasing pressure on everyone to work together for a cleaner environment. *The Humat Dijlah is a group of volunteers — all members of the Iraqi Social Forum — who work on environmental and water issues, particularly those relating to the protection of the Masar and the Tigris River.